Azva modern wedding rings in 22- karat gold tell a story of the seven vows with a skilful mix of intricate engravings, nakshi work, vibrant enamel and brilliance of kundan set stones in bright hues. Timeless in appeal, these modern gold wedding rings are the ultimate addition to any bridal trousseau and pair well for all those special occasions that call for a hint of glamour. Inspiration ranges from an array of floral splendour to the graceful peacock and geometric boldness juxtaposed with elegant paisleys. 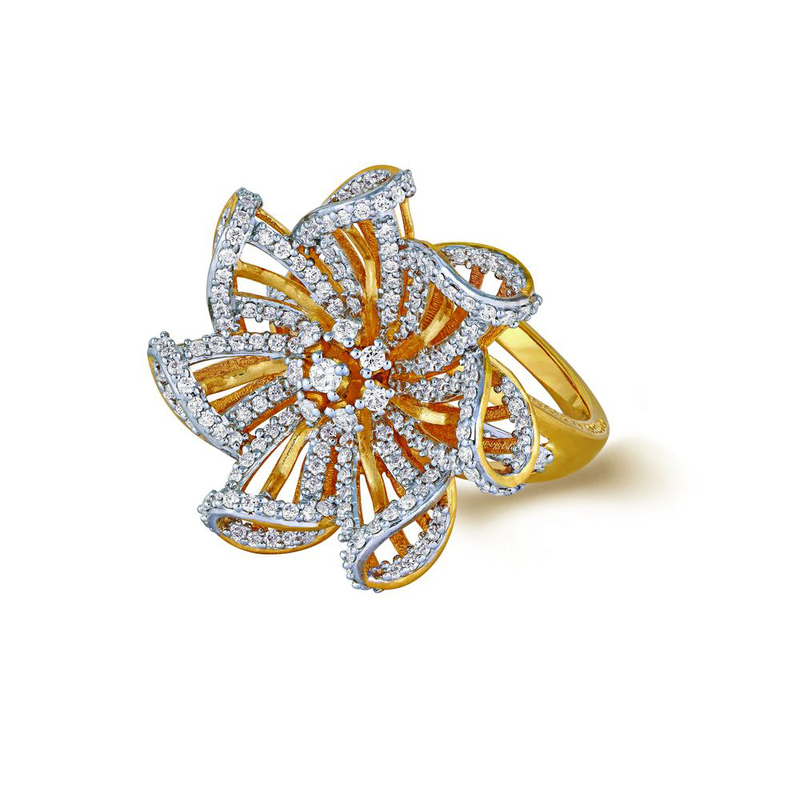 Versatility of the statement rings in gold reinvents luxury and style with elements designed for the bride of today.